There are always some issues that remain suspended in the air, which cannot be explained, proved or testified. Though mankind has made a breakthrough in almost all fields of science, there are so many things that are beyond what the human brain can grasp. "The shroud of Turin" is one among them. 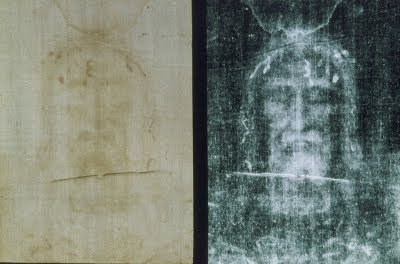 The shroud of Turin is a woven cloth about 14 feet long and 3.5 feet wide with an image of a crucified man on it. It is believed to be the burial cloth of Jesus of Nazareth. The imprint shows the peculiar characteristics that usually belong to a photographic negative. The Shroud of Turin remains one of the greatest mysteries of all time. Since the sixteenth century, the Shroud, believed by many to be the burial cloth of Christ, has been kept in St. John the Baptist Cathedral in Turin, Italy. The previous public exhibition was in 1998 and, the next display is scheduled on 2025. No single artifact of the past has so exemplified the interface between science and religion as the Shroud of Turin. The shroud has been subjected to numerous scientific tests over the years culminating in 1988 with a radiocarbon measurement and dating procedure. The testing of the shroud and the conclusions reached lie basically in two areas, the physical shroud itself and the very unique image of the shroud. It is claimed that the blood in the cloth belongs to AB blood group and DNA analysis revealed that it belongs to an adult male. A team of microbiologists from Health Science Centre , after examining the microscopic samples have concluded that the Shroud of Turin is centuries older than its Carbon date. The Fungi and bacteria that have grown over the shroud’s fibres for centuries were actually carbon dated. Since the image present is actually a negative image, various questions were raised as how it could have been created. Some of the possibilities put forward for the creation of images include: the body produced a chemical gas that imprinted the image on the cloth or by some contact mechanism or by the Volkinger Effect or by heat scorch or by X ray. Pathologists who studied the Shroud report as the man is dead in a state of rigor mortis. Piercing wonds in wrists and feet are observed. Abrasion and compression marks are observed on scourge wounds of shoulders supposedly caused by a heavy weight!! !.There is dirt on the knees and on feet containing aragonite limestone found only in Israel. It is claimed that the cloth has some pollen grains and images on it that are of plants found only in the Dead sea region of Israel.A botanist from Jerusalem has identified the pollen from a particular weed that is found only around Jerusalem. Even the crown of thorns was made of this type weed.Researchers have found the impressions of flowers on the shroud and that those flowers could only come from Israel. The rivulets of blood flowing from the wrist wounds could only occur only if the arms were stretched out approximately 65 degrees to the horizon. While most of the medieval representations of crucifixion show nails through palm, here accurately they are observed through the wrist, between radius and ulna bones (to support the weight of body). Research at McCrone Research Institute revealed that there is no blood in any image area. Red ochre and Vermilion paint were found in the tests and forensic tests for blood were uniformly negative. Radio carbon dating studies carried out independently at Oxford University, University of Arizona and the Swiss Federal Institute of Technology dated the cloth as originating in medieval times, around 1350. Since the image in the shroud is the negative image of a man, critics question as how could that happen? According a microchemist Walter McCrone, a male model was covered in a red coloured pigment and pressed his forehead, cheekbones and other parts of his head and body on to the linen to create the image. Critics point out that the head is 5% too large for its body, nose is disproportionate and arms are too long. The weave of the cloth is said to be typical of the weave wealthy jews would have had in the time of Jesus. The weave of the wealthy jew doesn’t seem consistent with the kind of people Jesus supposedly hung out with. There are as much number of theories prevailing to prove its authenticity and as much that it’s a forged one. Critics claim that historical, iconographic, pathological, physical and chemical evidence points to inauthenticity and the Shroud of Turin is just another.